This service requires you to send your manifold to us with a tech sheet. Our soft line direct port systems are the highest flowing soft line kits on the market. With capabilities of 100-600+ HP it is a rival to even our standard direct port systems! We can work with you to meet any hood clearances, class regulations, etc. All direct port systems are custom to your application. We flow each and every system done in house and custom jet map every one. We can do dry nitrous systems and E85 applications as well!! What do these systems include? First, we start by welding CNC bungs into your supplied manifold, blending the bungs to your ports, and welding solenoid brackets on the manifold. Next, using our annular small body nozzles, a .176 Trash Can Nitrous Solenoid, a .184 Bottom Exit Fuel Solenoid, filtered inlet fittings, two shower heads, and large diameter soft line tubing we plumb the manifold to best fit your combination. We then wire the system with soldered and heat shrunk connections. Finally, the system is flowed for five tune-ups and all necessary stainless steel jets for the tune-ups. The jets that are included are a $320 value alone! 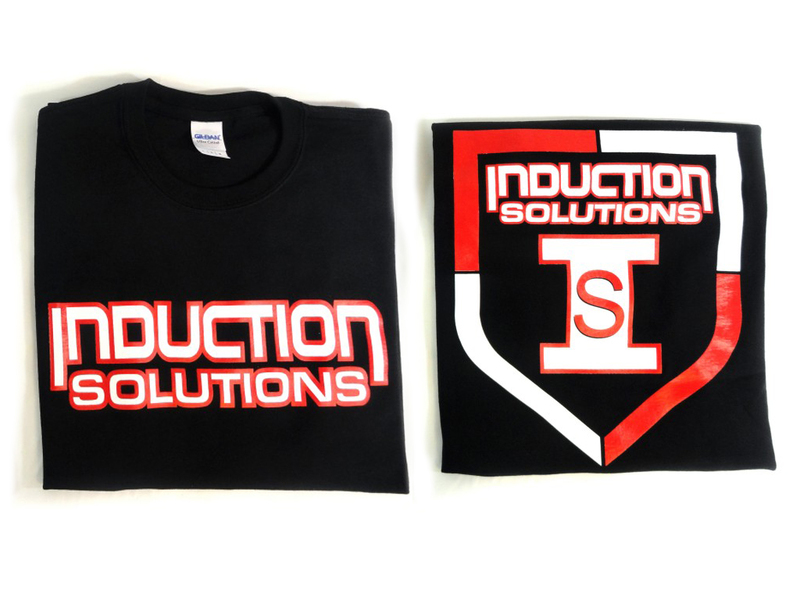 Systems also comes with a free Induction Solutions t-shirt. To give us the appropriate information please download and fill out one of our tech sheets and ship it along with your manifold to the shop address in the contact us section of the site. All of our nitrous nozzles are 1/16 NPT thread. Great product and with all the support and info, makes tuning a breeze!